A lively appreciation of the Everglades as an ecosystem worthy of care and protection—quite a turnaround in attitude, as Washington Post reporter Grunwald reveals. The natural Everglades encompasses an area twice the size of New Jersey, and it lacks both immediately spectacular features and elevation: One “pass” there is marked at a mere three feet above sea level. Yet huge quantities of freshwater slowly roll down the Everglades; as Grunwald writes, “a raindrop that fell in its headwaters in central Florida could have taken an entire year to dribble down to its estuaries at the tip of the peninsula.” Nineteenth-century white explorers damned the “Sea of Grass” for its heat, mosquitoes, vast store of reptiles, renegade Indians and runaway slaves, but speculators and capitalists came along who recognized a couple of salient facts: Rich in organic peat, the Everglades could be an agricultural paradise, and it could sustain whole cities. All that was needed was to remake the place entirely—drain the swamps, build vast canals and railroads, divide it into cozy lots. Grunwald’s account of the con games and fly-by-nights that made modern South Florida possible is a learned entertainment, though it becomes somewhat less amusing once it’s known that the same actors and forces are in play today; one illustrative moment comes when Jeb Bush, governor of Florida and brother of the president, came close to selling off Florida’s water rights in the Everglades for the pittance offered by a little company called Azurix, “an aggressive new player in the $400 billion global water market”—and, as it happens, a subsidiary of Enron. Happily, the deal didn’t go through. More happily still, Grunwald writes that many wide-ranging measures to help restore the Everglades have been successful. 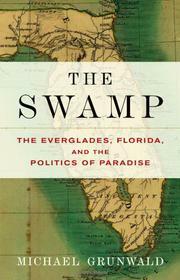 Still, “drive through the region’s strip-mall hellscapes,” Grunwald concludes, and it’s clear that much remains to be done to save the Everglades. This lucid history and call to arms is an essential companion to that work.